We are an independent specialist bicycle retailer based in Frodsham, Cheshire. Stocking Santa Cruz, Cube, Orange, Whyte, Focus and Ridley. We are passionate about bikes and cover all disciplines from MTB to Road, Kids to Commuter with a price range to suit most pockets. We also have a range of clothing from Madison and Fox and a fully equipped workshop for all servicing and repair needs. Well it was all the way back in July now, seems like yesterday though!! There was three in our van, Myself (Matt), Ross and his wife Nikki (Someone had to look after us ha ha!) And we met some of the guys from IMB magazine out in Morzine before heading to Alpe D'Huez! Ready for the off at Dover.... a nice long over night drive ahead! We didn't waste any time, we were un-packed and ready for a quick blast on the hill at Morzine, the boys had left us to have a nap after the long drive, but we wanted to get out!! Bikes ready..... off we go!! It was time for an afternoon on the big bike.... NukeProof Scalp After a few days blasting the French and Swiss DH runs, it was pack the van time and off to Alpe D'Huez...... and the Megavalanche!! 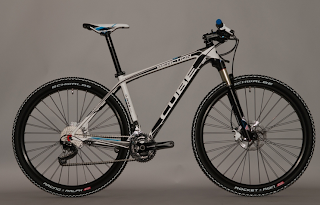 We will be taking delivery of the new Cube Acid 2012 in Grey/Blue next week, what do you think? We love it! Great spec and a great price at £769..... Buy Online or call in to see us! It's taking a long time, but we are slowly getting more products on the web shop! Here's what we have got in stock now...... other models available to order and can be in the shop within a couple of days!! 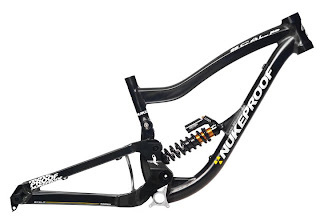 NukeProof Scalp Frameset with BoXXer World Cups £2499 inc free headset! We have one of these amazing frames left and we are doing a frameset deal with a free headset! RRP £3547.99..... Yours for £2499.... A HUGE saving of £1048.99 Thats 30%!!!! We've got on of these bikes built up, and after a trip to France with it, it's an awesome piece of kit at a really affordable price! CONTACT US if you want a full spec or build quote..... and we will hook you up!! The Analog has been upgraded for 2012, with the new RockShox XC28, this is a much needed upgrade over the old Suntour fork it used to have. And it also gets a new set of brakes from Shimano! If you are new to biking and want reliability, great functionality and a good looking bike that's made to last.... this is the one for you!! Well Cube haven't dissapointed again, the new 2012 Attention is a great value bike!! This year see's the bike get a nice fork upgrade to a RockShox XC28, and it also goes 10speed!! It even gets a better wheel set than last years bike. The very last Stereo we will see until the new models arrive later in the year! This bike has got a small chip in the paint on the top tube. We can send you a picture if you want to see it!! Cube is to introduce 29-inch wheeled complete bikes into its catalogue for the first time this year, with the introduction of ten models. 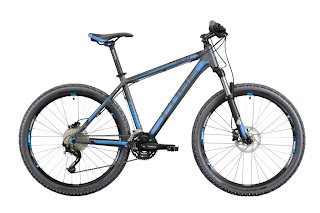 Until now, Cube has been unable to produce a product that it has been satisfied with, stating that fork manufacturers had been unable to supply a product with the correct geometry and offset to work with Cube's Agile Ride geometry. In 2012, the following models get the 29er treatment: Analog 29, Acid 29, two models from the popular LTD-series: LTD Pro 29 and LTD SL 29, the Reaction GTC Pro 29, Reaction GTC SL 29, AMS 29, AMS 29 Race, Elite 29 Super HPC and theelectric build, the EPO 29. Having overcome a number of obstacles, Cube now has a system, which it says works accross its entire 29er line. The Agile Ride geometry solves issues relating to longer chainstays, a higher centre of gravity and the longer wheelbase. It's all go this week...... the new Cube Acid 2012 Model has just landed in Black/White colours, looks very nice again! And priced at £769, with a nice spec increase..... another excellent value bike!! This years bike see's an upgrade on the old Dart fork to a nice RockShox Recon Silver with remote lockout. Available to buy in the Online Shop now and in store!! RockShox Recon Silver and Shimano Brakes for 201, and white hub to pimp it out! 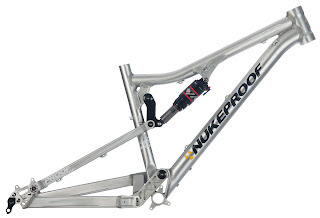 NukeProof Mega Frame - Back in stock!! Well they're in stock now, on display and also on the web shop to buy online! The Cube Aim 2012 model, and we think it looks even better than the 2011 model. Two colours again this year, one is White/Grey/Red and the other is Black/Grey/White. Fingers crossed the new Acid, Attention and Analogs arrive next week..... stay tuned!! High5 Electrolite tablets now in stock! After many requests, we now stock High5 Electrolite tablets! They come in tubes of 20, should keep you going for a while!! NEWS FLASH ***CUBE AIM 2012*** Just landed in the shop! The 2012 Cube Aim has just landed in the shop in the new colours, they still do a nice Black/Grey option, but the new colour is White/Red/Grey, looks awesome! 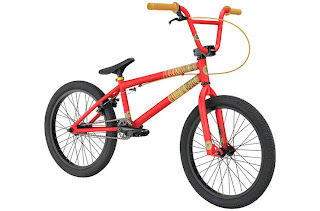 And all for £399, still no price for some bikes from CUBE Bikes! We will get some pictures up as soon as we can, and get them on the web shop!